The churchyard contains the body of Ferdinand Paleologus, believed to be a descendant of Constantine. Late Prime Minister of Barbados, Hon. David John Howard Thompson was also laid to rest at this site. The church premises house a beautiful Westmascott statue. The church offers spectacular views of the East Coast. Call up the church to inform you are visiting. Entrance fees in the form of donations are accepted. How popular is St. John's Church? People normally club together Grantley Adams International Airport and George Washington House while planning their visit to St. John's Church. People also prefer to start their day with St. John's Church. 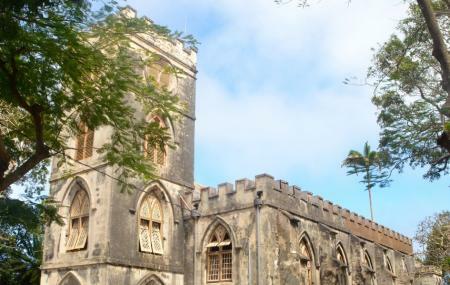 A parish church depicting English colonial architecture. Very well preserved; maintained as a tourist attraction site in Barbados. Very scenic views from all angles - the sea & beautiful coastline & also the little village and the calm rolling hills. Talk about 360° views! And oh, the trees on the well-landscaped grounds; so peaceful and relaxing . One would be tempted to forget that there's a cemetery located here 😂. Former estate owners, Governors & Prime Ministers are buried here; their tombs are elaborate & magnificent! Good location for relaxation and quiet time. Ambiance is picture perfect and it is surrounded by many scenic views. There are several historical objects/artifacts inside and outside the church. Several people; locals and tourists visit this historical church. A small tuck shop is on location and provides light refreshments and souvenirs for sale.💞 It's a great place to visit 😇💓. Fabulous church and fascinating!! Just sit on a pew and imagine the history! Gorgeous grounds too!